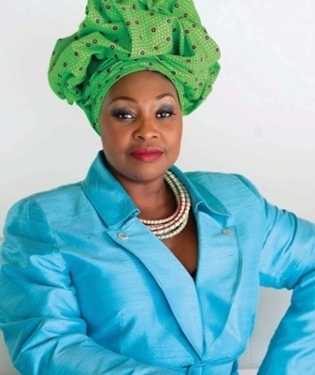 Yvonne Chaka Chaka is an internationally famous South African singer, songwriter, entrepreneur and humanitarian – dubbed the “Princess of Africa”. In conversation with Gail Masondo, author and life recovery coach, she will discuss her life in Soweto and her rise to stardom in South Africa during Apartheid, and now her work as a UNESCO Goodwill Ambassador. The word “INDABA” is used in South Africa and can mean “conversations for change” or “dialogue toward decisions.” Event participants are encouraged to engage with Chaka Chaka and Masondo in conversation about issues around empowering women and youth. Chaka Chaka was the first African woman to receive the World Economic Forum’s Crystal Award, and is a champion for the Global Fund to Fight AIDS, TB and Malaria. She was chosen by South African President Nelson Mandela as the first ambassador for his children’s fund, and she has also established her own charity dedicated to the empowerment of women and youth, the Princess of Africa Foundation, which is allied with the ACTION global health advocacy partnership. Sponsored By: SOHO (Saving Orphans through Health Care and Outreach), the Desmond Tutu Center for Peace, Reconciliation and Global Justice, the IUPUI Honors College, Office of International Affairs, African Student Association, School of Public Health, School of Informatics and Computing, and Kelley School of Business, Office for Women.